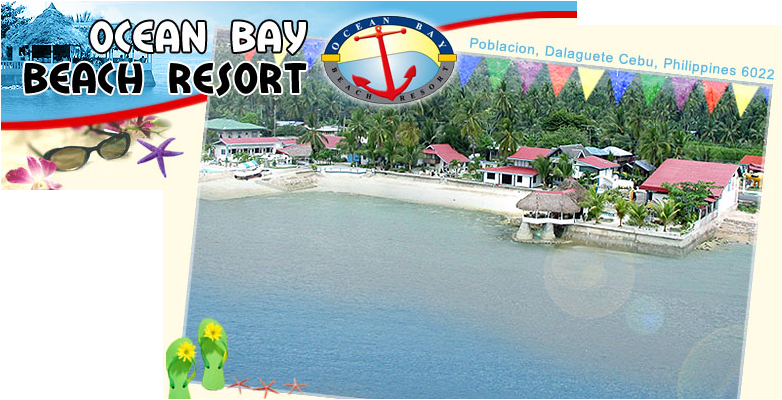 Welcome to Ocean Bay Beach Resort, a holiday destination were you can find the relaxing feeling of the province. See the sun rising over the island of Bohol, enjoy the view of the ocean, relax along the pool side or have an early swim. 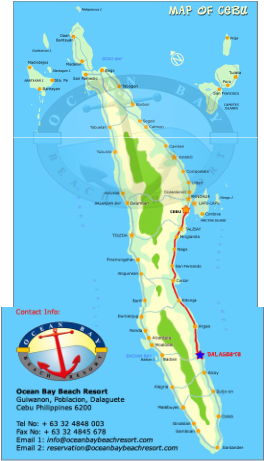 You may also want to stroll along to the local market, experience the friendliness of the local population and pass the time away doing as little or as much as you like. 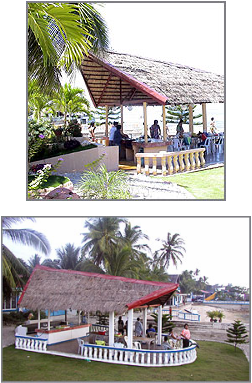 The gazebo is good for around 36 people where breakfast, lunch, and dinner is served per a la carte menu. The local beer here cost 35 PHP only. The conference room can seat 36 people comfortable. 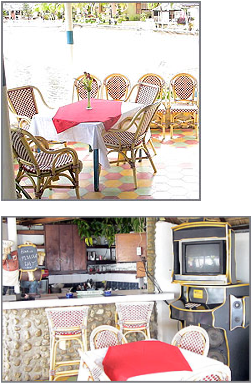 There are bar facilities and a small kitchen from where guests can be served. 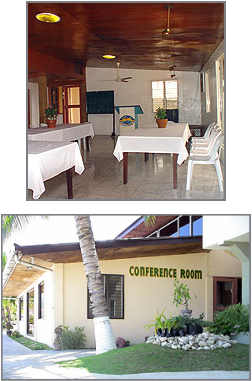 On request, the resort can supply a simple sound system, overhead projector, lectern etceteras. The Pool has a roof to protect you from the UV rays of the sun. There is a spa and children’s area. On one side the pool is 2.40 meters deep and can be used for diving instructions. There are swim jets for the sports people under the guest and the whole pool is fenced off. There are 3 different area’s where the guest can prepare their own food. 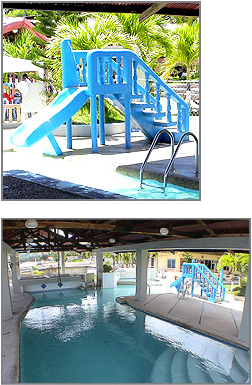 The resort can provide a stove for a fee of PHP 100.00 (US $ 2.00). Additional corkage will be charged for groups. The main barbeque area can seat 16 people comfortably and has it's own wash basin.